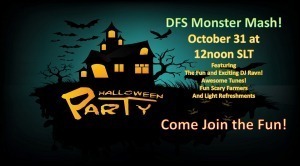 JOIN US FOR THE DFS MONSTER MASH! The party starts at noon on October 31! Halloween Day! Wear your fun or spooking it is totally up to you! The Fun and Exciting DJ Ravn will be in the house giving us Awesome Tunes to rock our graves! Fun Spooky Farmers and Light Refreshments! 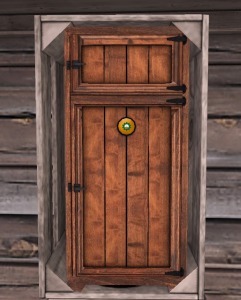 https://www.digitalfarmsystem.com/wp-content/uploads/2016/10/dfs-logo.png 0 0 Fairy Catronis https://www.digitalfarmsystem.com/wp-content/uploads/2016/10/dfs-logo.png Fairy Catronis2018-10-30 06:04:092018-10-30 06:04:09JOIN US FOR THE DFS MONSTER MASH! Please send your current DFS Freezers in a folder, not boxed, to a CSR or Blackfairy3ds with a notecard entitled “Exchanging (put the # of freezers) for New Freezer (username),” for example Exchanging 6 for New Freezer (Hope). We have fixed a bug and updated the look of the DFS Freezer. Please note, this exchange is only for the DFS Freezer. We will return your freezers as soon as possible. Guess who will be 2 years old on Oct 3rd?! 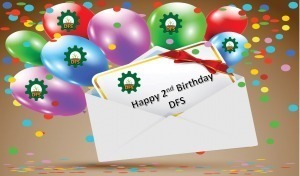 We have had an amazing two years, DFS Family! You are a huge part of what makes this an Awesome Digital Farming System! Now it is time to celebrate! Please join us for the DFS Birthday Bash 2018! https://www.digitalfarmsystem.com/wp-content/uploads/2016/10/dfs-logo.png 0 0 Fairy Catronis https://www.digitalfarmsystem.com/wp-content/uploads/2016/10/dfs-logo.png Fairy Catronis2018-10-02 20:37:462018-10-02 20:37:46Guess who will be 2 years old on Oct 3rd? !